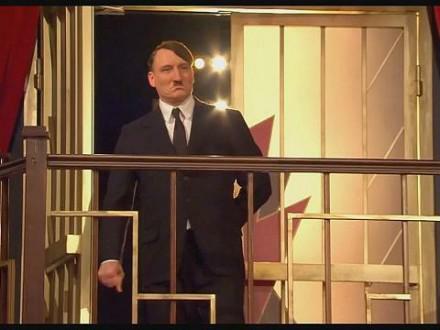 Comedy about Hitler may be nominated for "Oscar"
The comedy "Look Who's Back" (Er ist wieder da), which tells of the adventures of Adolf Hitler in the modern world, was among the eight German paintings, claiming the "Oscar" in 2017, reports the BBC. With eight films four devoted Nazi problem. Among them - "The Diary of Anne Frank" and "State v Fritz Bauer". August 25, an independent jury will choose from a short-list movie that Germany will send to the competition of the "Oscar". Shot by David Wnendt on the eponymous bestseller by journalist and writer Timur Vermes movie "Look Who's Back" became the German box-office leader. It shows how Hitler gets to Berlin early 2010's and was surprised watching the realities of contemporary German life. His take for the actor who played well the Fuhrer, and as a result of Hitler becoming the star of YouTube and TV. At the beginning of 2016 the Italian filmmakers announced their intention to withdraw the Italian version of the tape, where, instead of Hitler will appear dictator Benito Mussolini.